How to watch Lucifer: Season 3 (2017) on Netflix Denmark! Yes, Lucifer: Season 3 is now available on Danish Netflix. It arrived for online streaming on October 4, 2017. We'll keep checking Netflix Denmark for Lucifer: Season 3, and this page will be updated with any changes. Bored with being the Lord of Hell, the devil relocates to Los Angeles, where he opens a nightclub and forms a connection with a homicide detective. He's the devil, but don't hold that against him. He also helps solve murders and runs one hell of a nightclub. Season 1 of Lucifer has 13 episodes. Because different Netflix countries have different availability for episodes, you'll need to check the episode listing below to see which are available in Denmark. After an old acquaintance meets a violent fate, the charming Lucifer vows revenge on the perpetrators and makes an unexpected alliance. While feeling the heat to return to hell, Lucifer makes time to investigate how overeager paparazzi contributed to a young man's death. A pro quarterback on the brink of superstardom wakes to a grisly discovery and calls on Lucifer to help prove his innocence. Lucifer attempts to seduce Chloe, but she's just not like the other ladies. Meanwhile, Amenadiel shares his concern with Maze about Lucifer. Lucifer's treated to an inside look at the ugly side of fashion. Armed with new information, Amenadiel hatches a plan to get Lucifer back home. 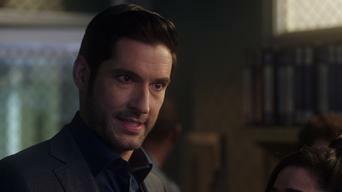 When a personal possession is stolen, Lucifer sets out to track the culprit. Meanwhile, Dr. Linda makes a fateful decision. Lucifer goes in search of his missing property and gets help from an unlikely source. 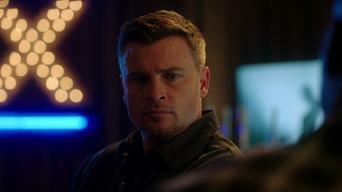 Chloe asks Dan for help with the Palmetto case. Lucifer celebrates his "rebirthday," then teams with Chloe and Dr. Linda to investigate the murder of a controversial therapist. Suspicious that drugs are coming through a youth center, a priest asks Lucifer for a little help. Amenadiel and Malcolm have a heart-to-heart. When a popular chef is poisoned, Chloe and Lucifer home in on a suspect. Lucifer learns that Chloe's family may be even crazier than his own. 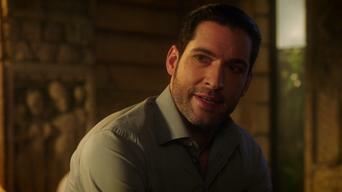 Lucifer makes an odd discovery: He loves doing charitable work. Dan tries to issue a warning. 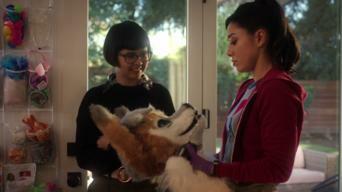 Chloe hunts a philanthropist's murderer. A murdered woman's body is twisted to resemble a pentagram, leading Chloe and an increasingly disturbed Lucifer into a seedy underworld. 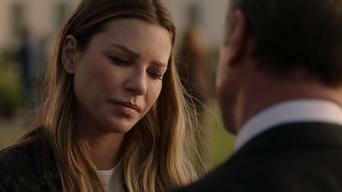 Framed for murder, Lucifer works with Chloe to clear his name. Amenadiel does battle with a deadly foe. Lucifer asks for a favor. Season 2 of Lucifer has 18 episodes. Because different Netflix countries have different availability for episodes, you'll need to check the episode listing below to see which are available in Denmark. While investigating the murder of a stand-in actress, Chloe attempts to solve the mystery of Lucifer's origin once and for all. 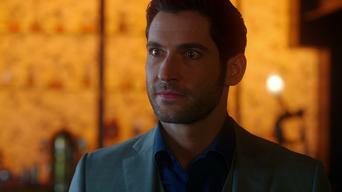 Lucifer suspects his newly arrived mother may behind a vicious crime. Later, Lucifer learns a bit about his hellish history. 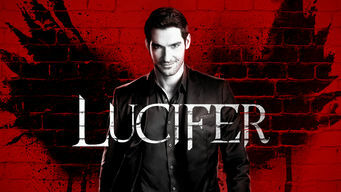 Lucifer joins Chloe and Dan to investigate a murder tied to an online video site and later makes a decision about his mother's punishment. A strange stamp points Chloe toward a possible murderer. Tempers flare during girls' night out. Amenadiel worries that his powers are fading. Back to work after her car crash, Chloe investigates the murder of a famous action star. Lucifer's brother Uriel delivers a message from below. A zombie-themed wedding turns deadly. Maze takes Trixie out trick-or-treating. 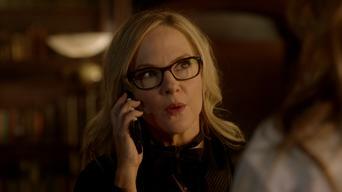 Lucifer has a revealing conversation with Dr. Linda. Chloe learns that the man convicted of killing her father is set to be temporarily released from prison. Maze searches for her true calling. 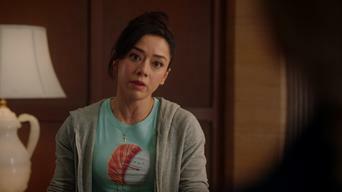 When a woman is stabbed, Chloe and Lucifer look into a cultlike yoga group. Meanwhile, Dr. Linda reconnects with her favorite patient. While Chloe, Dan and Lucifer take on the murder of a real estate titan, Charlotte hatches a plan to compel Lucifer to leave Earth. Amenadiel tries to talk some sense into his mother. Chloe receives distressing news about a case. Lucifer takes the witness stand. Lucifer learns he's the only obvious connection between two murder victims. Dr. Linda dishes some advice to Maze. Chloe makes a move. A college student's death leads Lucifer and Chloe down a poisonous path. Meanwhile, the pair tries to deal with their evolving relationship. Lucifer vows to go the extra mile to find the antidote needed to save Chloe's life. Later, Lucifer and his mother have it out. After two weeks away, Lucifer returns to Los Angeles, but he's not alone. Later, Chloe shows off her acting skills. 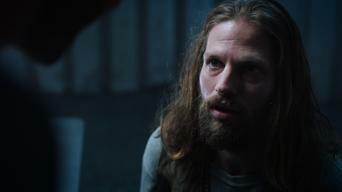 Lucifer learns what he must do in order to reignite Azrael's blade. Chloe and Dan investigate the death of an elementary school administrator. Lucifer goes undercover at a mental institution to track down a killer but ends up meeting a man whose powers may rival his own. Dr. Linda's ethics are questioned. 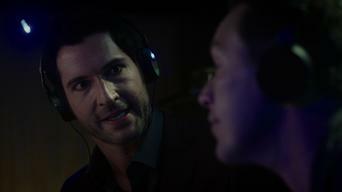 Lucifer catches an earful and makes a painful discovery. Amenadiel and Dan find they have something in common. Amenadiel takes a stand. Lucifer's mother shares a secret. Dr. Linda improvises. Lucifer considers opening up to Chloe. Season 3 of Lucifer has 26 episodes. Because different Netflix countries have different availability for episodes, you'll need to check the episode listing below to see which are available in Denmark. Lucifer tries to make sense of his new accessories. Meanwhile, newcomer Lieutenant Marcus Pierce gets off to a rocky start with his coworkers. As Lucifer and Chloe investigate a new case, Pierce's past comes into focus. Linda worries that her favorite patient isn't caring for himself. 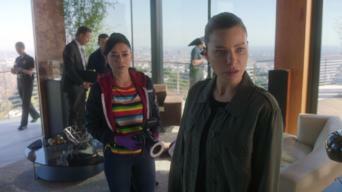 After Maze leaves for a change of scenery, Chloe worries that a scheming stranger may have something sinister planned. 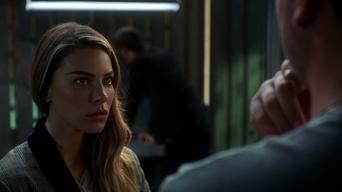 While Chloe tries to decipher Pierce's feelings, she and Lucifer investigate the murder of a youth counselor at an expensive reform program. While investigating a food chemist's death, Lucifer and Chloe cross paths with a blast from their past -- defense attorney Charlotte Richards. 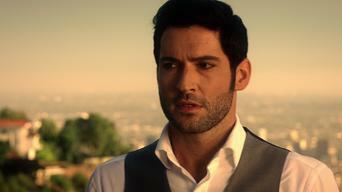 Lucifer and Ella head to Sin City to investigate the disappearance of an old friend. Meanwhile, Chloe and Linda let their hair down back home. 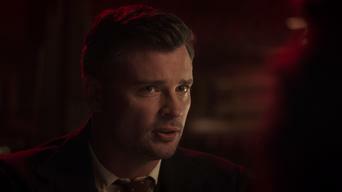 When a curious journalist takes a sudden interest in Lucifer's life, Maze wonders if there may be ulterior motives at play. Chloe goes undercover to investigate a murder tied to a celebrity dating app, while Lucifer serves as her wingman from afar. After Lucifer realizes the recipients of his favors are dying off, his ensuing investigation brings him face-to-face with the Sinnerman. 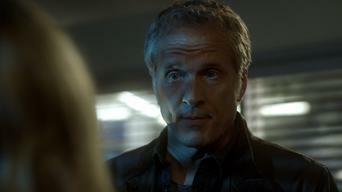 The Sinnerman continues to vex Lucifer, as another life hangs in the balance. Meanwhile, Trixie crosses paths with Charlotte. In this flashback episode, Lucifer helps Amenadiel deal with L.A.'s eccentricities while Chloe and Dan investigate the murder of an MMA fighter. 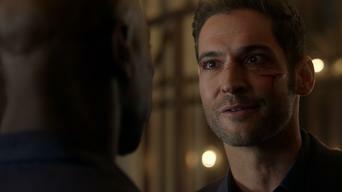 After learning of Pierce's identity and predicament, Lucifer offers to help him make a deal. Meanwhile, Amenadiel attends to a personal issue. 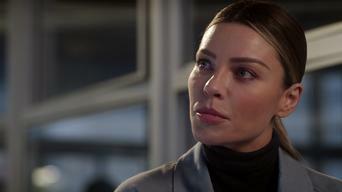 While Lucifer and Pierce go undercover to track down a drug-connected killer, Maze deals with new feelings toward an old foe. While investigating the death of a diamond thief, Chloe and Lucifer hone in an unexpected suspect. Meanwhile, Charlotte upsets Linda with a request. A novelist whose characters are based on people from her past is murdered. Lucifer searches for suspects at the victim's high school reunion. A murder case exposes Chloe to Tinsel Town's seedy underbelly. Lucifer's plans to help Cain go sideways when Amenadiel and Maze join the fun. 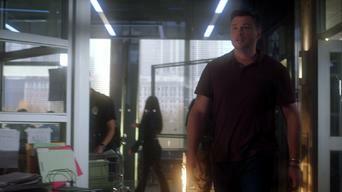 Lucifer and Chloe put themselves in the line of fire while protecting a superstar singer. Meanwhile, Charlotte plays peacemaker. 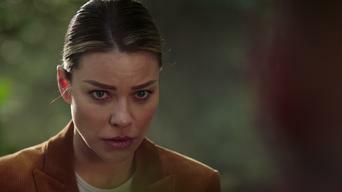 While Chloe and Lucifer investigate a killer who pursues couples in love, Pierce suspects the case may be connected to his past. 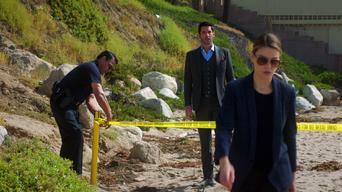 Lucifer and Chloe investigate a murder with a familiar suspect. Meanwhile, Maze looks to make a change and Charlotte discovers something big. A murder witness's vivid description of the guardian that saved her life gives Lucifer pause. Chloe's relationship with Pierce takes a turn. Following a prima ballerina's murder, Lucifer helps Chloe search for the suspect while trying to keep her from thinking about Pierce. 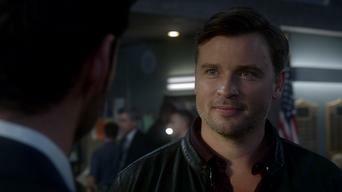 Lucifer and Dan investigate a murder with a dog show connection. Chloe and her pals celebrate her big decision, but second thoughts are hard to shake. 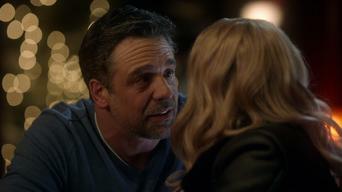 While investigating a woman's death, Lucifer and Chloe come to a distressing realization. Also, a phone call leaves Lucifer reeling. Following a shocking loss, Lucifer and Chloe search for the responsible party. Maze works to repair an old friendship. 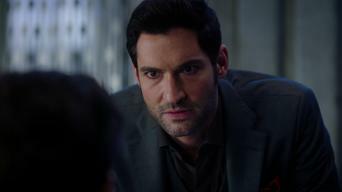 Lucifer investigates the murder of a child psychiatrist. Meanwhile, Ella ponders a childhood secret she's been keeping. In an alternate dimension, Lucifer gets to experience what his life would have been like had he never met Chloe.